When it's sweltering in Shanghai, do as the locals do and settle down for a nap at Ikea - if you can find an open bed. 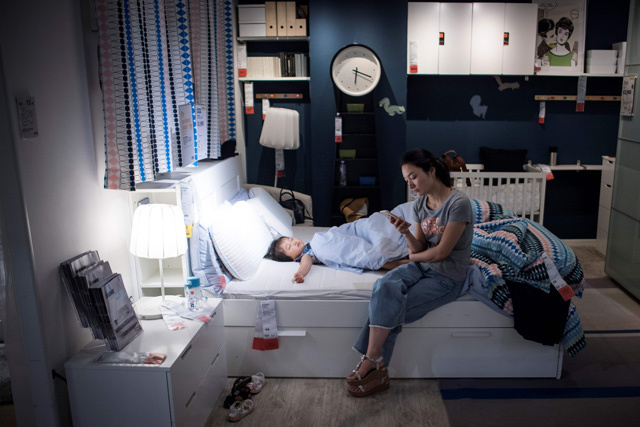 Chinese have a peculiar penchant for making themselves at home in the Swedish retailer's airconditioned showrooms, snoozing on beds, dozing on couches, and eating at dinner tables - and the phenomenon is on full display as the sweltering summer sets in. With the mercury pushing 37 C (98.6 F) and outside feeling distinctly muggy, people from all walks of life - children with parents, couples, and the elderly - can be seen lounging and even, somehow, catching a few Zs amid the crush of shoppers. 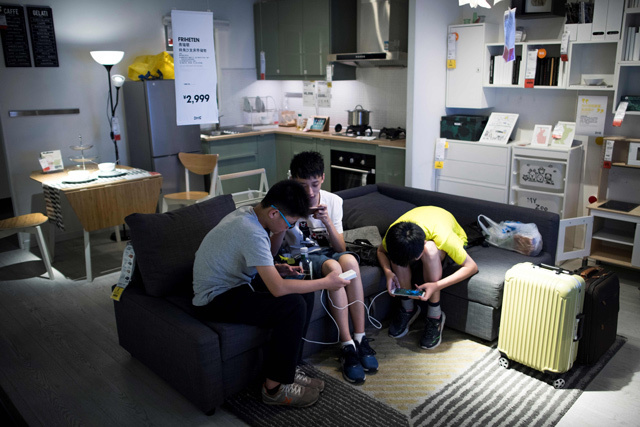 Apparently recognising the potential profit that comes from increased footfall, Ikea has long tolerated serving as a surrogate living room for Chinese consumers, many of whom live in tiny apartments and appear to revel in stretching out on a spacious sofa. 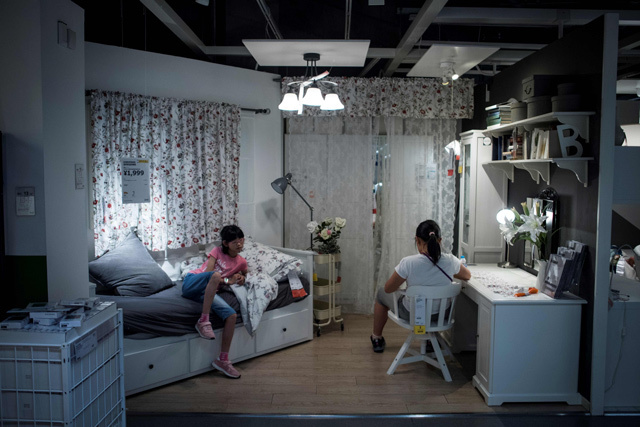 But an Ikea store in Shanghai last year imposed a "no food, no seating" rule in its popular cafeteria, which had reportedly become the chosen venue for many widowed or divorced elderly seeking a romantic match. 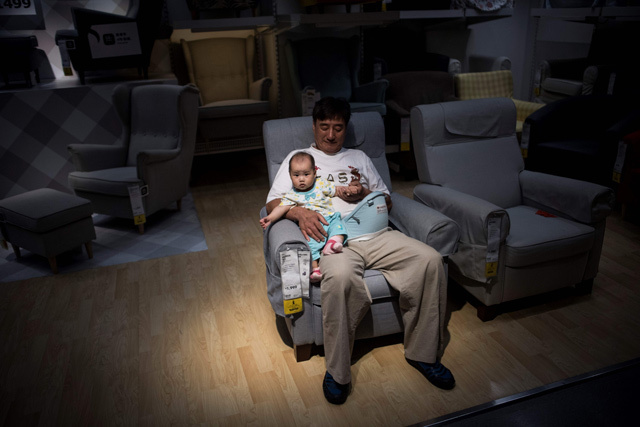 Ikea's Chinese couch potatoes are expected to remain out in force for the time being.